Unused poster design for Stratix, a company that keeps your busines mobility moving despite the ever changing market. 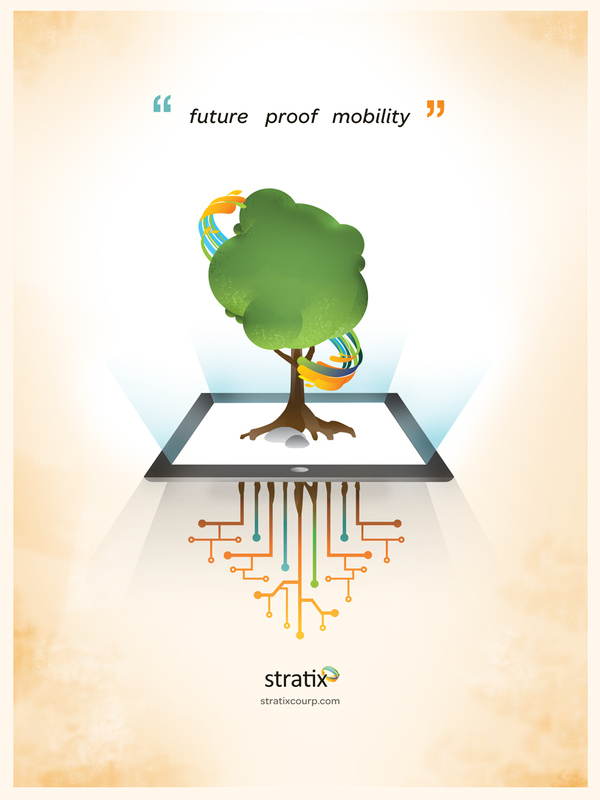 Future proof mobility, the slogan for the new marketing promise from stratix. Here the vector illustration with photoshop edits showcases stratix as the roots of your mobility growing a bright company from the ever changing mobile device. Although this was not used, we loved the idea and had a blast creating the illustration.